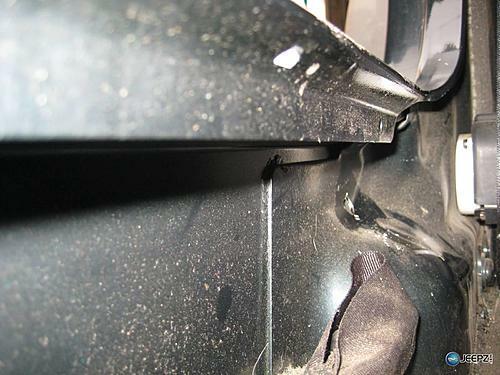 If you spend any time on the rocks when offroading, you'll end up with some body damage between your wheels and under the doors - rocks seem to popup and crunch the sheet metal in these places. A common fix for this (both before or after the damage) is to install some rock sliders. 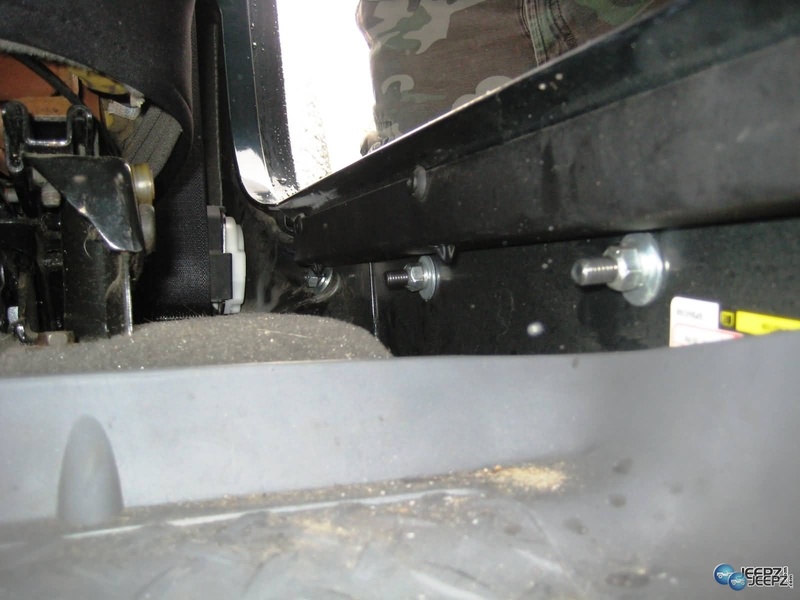 Rock sliders are typically 3/16 inch metal that simply overlaps about 6 inches up the side, and 6 inches under the vehicle. 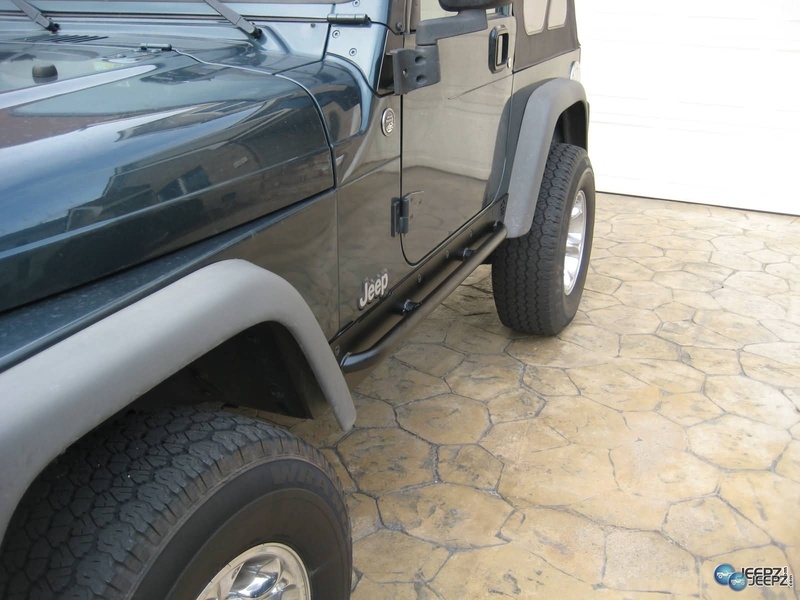 Rock sliders come in a variety of shapes and sizes, some with a tublar step, and some without. After some research I chose some from sliders from Trail Gear that had a tublar stepâ€¦ well, perhaps step isn't the right word, it's really too small to be used as a step. Overall I'm very happy with this upgrade. Not only do these rock sliders look great and provide protection when offroad, but they are strong enough to be used as a Hi-Lift jack point, meaning that I can position my jack under the tube and jack from there. I'd say these are a great investment for anyone who wants to go offroad. Last edited by TerryMason; 07-07-2012 at 08:27 PM. 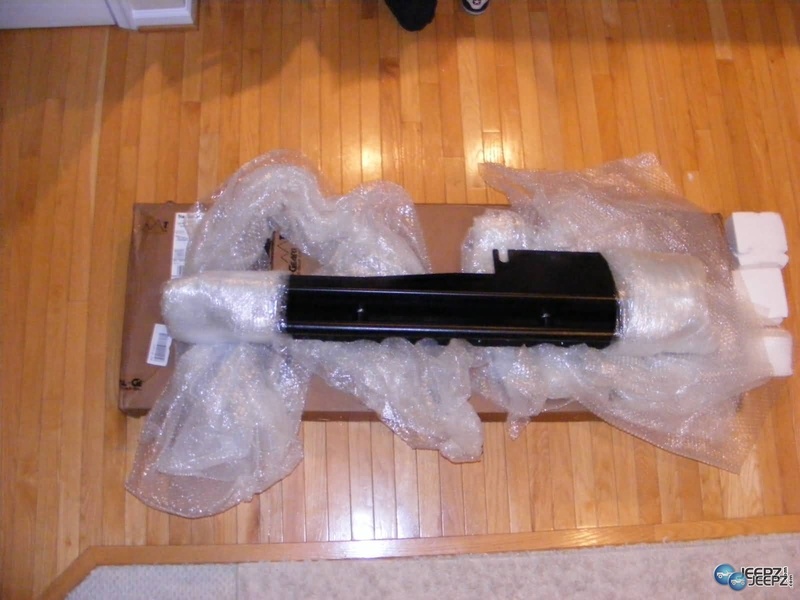 I was very impressed with the packing on these sliders â€“ they showed up at my house in three boxes, one for each slider and a third for the hardware. As you can see they look pretty good, and come embossed with a TG logo on them (there doesnâ€™t seem to be an option to skip the logo) as you can see in the photo below. 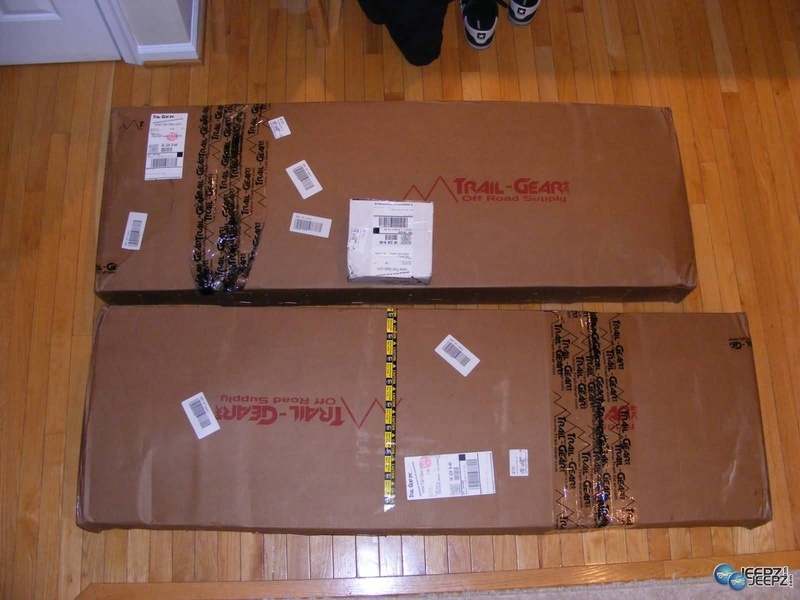 My first (minor) gripe came when I opened up the boxes. While there were some pretty cool stickers, and marketing material, there were no printed directions. So, I had to hit their website, and downloaded the PDF directions... tragedy adverted. To get started with the install, you'll need to pull off the front horizontal fender flares. They are held on by three screws each. Once you have these removed, you'll notice that there is quite a collection of dirt and crud. You'll want to clean the entire area where the rock slider will mount â€“ you don't want debris sandwiched between your slider and paint for the next 10 years. 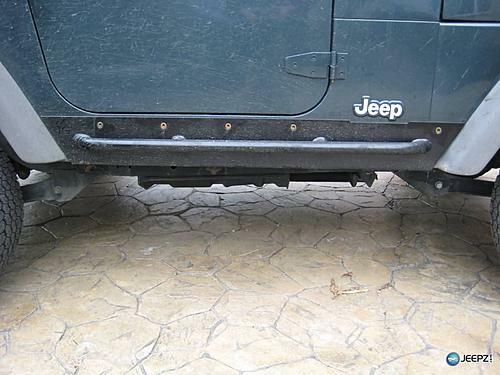 Once you have the area scrubbed down, take a look at the screws holes where the fender flare is mounted, you'll notice that the anchors protrude from the body of the Jeep. 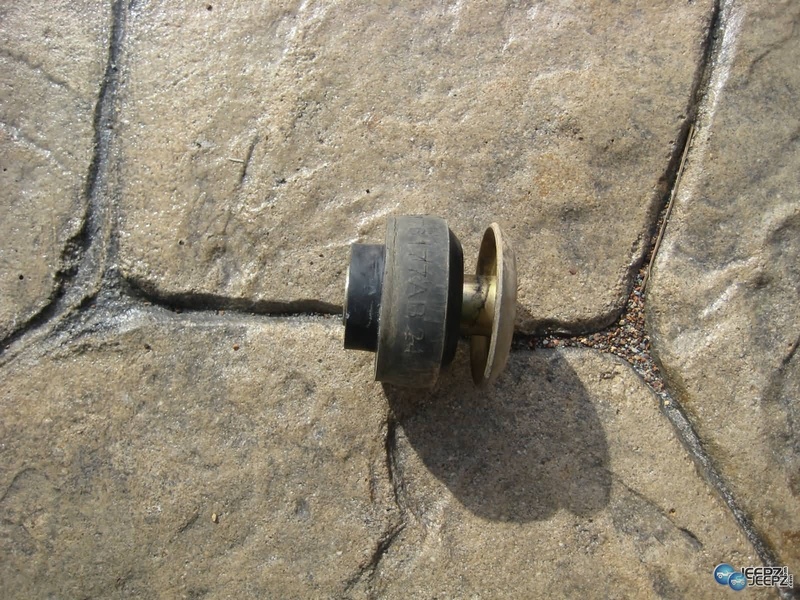 I was able to countersink these by just tapping them carefully with a hammer. If you don't sink them, they will push your rock slider away from the body by about 1/8th inch. Last edited by TerryMason; 07-07-2012 at 08:28 PM. 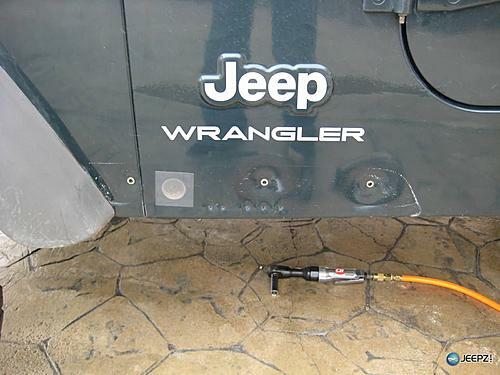 It took some time to find a good way to jack up my Jeep. 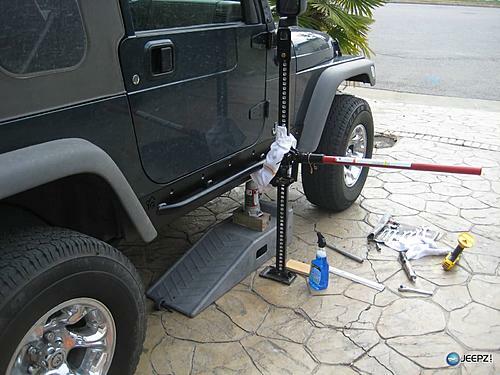 There isn't a good spot to set my Hi-Lift jack, and since my floor jack wouldn't reach the Jeep body, I ended up going with a bottle jack set on top of a ramp stand (I wouldn't recommend this to others. You should take the time to get the proper jack). 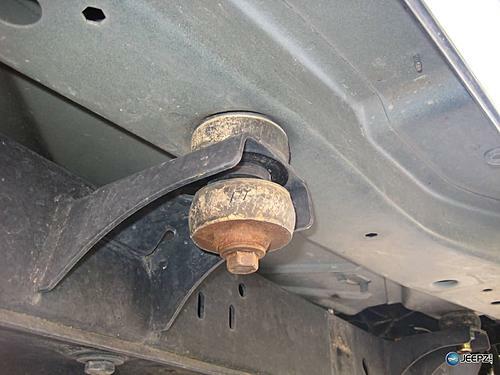 I'd like to mention that you need to be very careful when jacking your Jeep, but as long as you don't put your fingers between the body and the frame, there isn't as great a chance of injury in this case - just use care. Last edited by TerryMason; 07-07-2012 at 08:29 PM. Now you are ready to pull the body mounts. 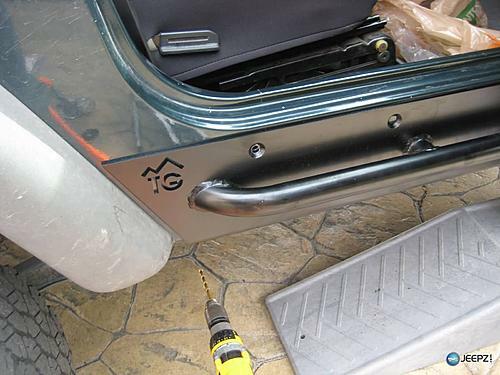 You'll need to install the sliders one side at a time. 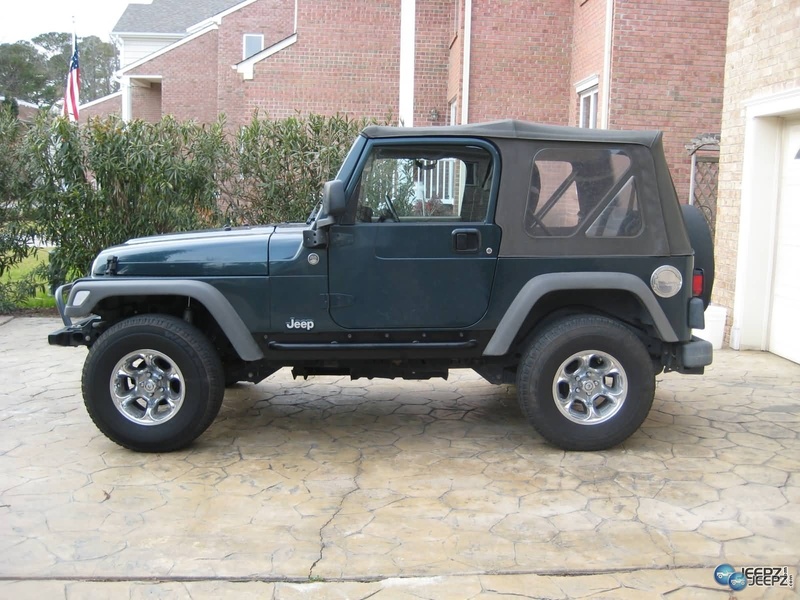 So, pick a side and remove the 5 body mounts on that side, along with the body mount in the front. If you have air tools, this job will go a lot faster. Last edited by TerryMason; 07-07-2012 at 08:30 PM. 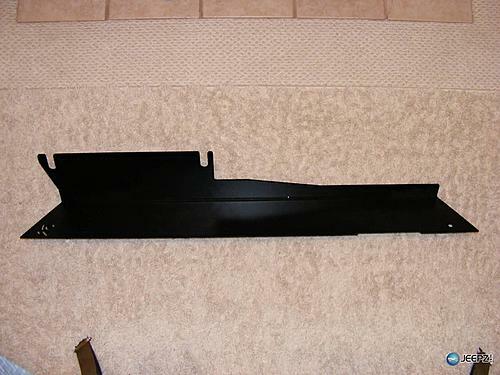 Now comes what I think is the hardest part of the install, cutting down the body mount. Since the rock slider will sandwich between the body mount and the body of the Jeep, you'll need to cut down the two side rubber body mounts by 3/16ths inch (or else the body mount would be too tall). I strayed from the directions a bit here, and decided to leave a thin sliver of rubber above the rock slider - this was probably unnecessary, and just made my life harder. My initial thought on cutting the body mounts was to use my cutoff wheel. 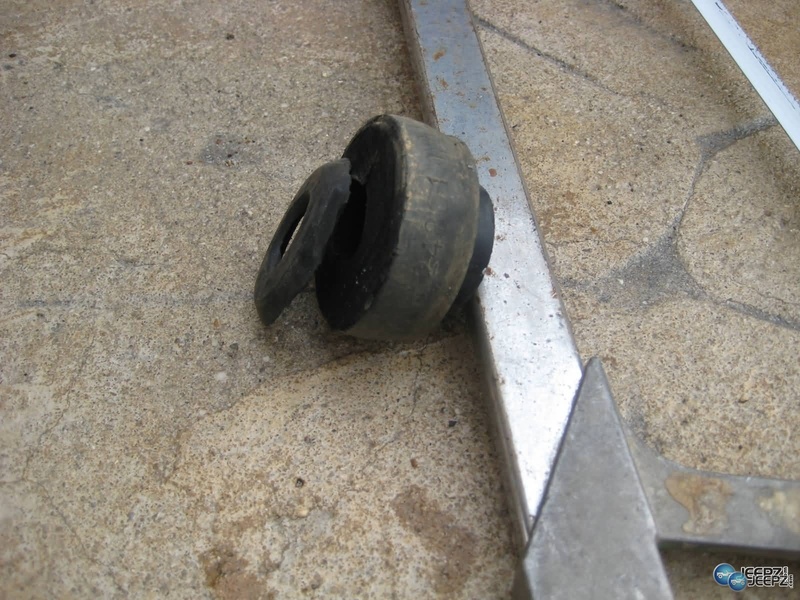 Do you know what happens when you use a cutoff wheel spinning at a couple of thousand RPM to saw through rubber? I now know that the rubber first emits horrible smelling toxic smoke before becoming semi-liquid and flying all over the garage and cutoff wheel operator. 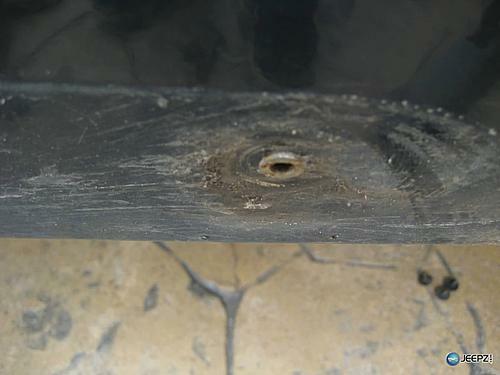 I eventually used my hacksaw and a vise to hold the mount and slice through it. Last edited by TerryMason; 07-07-2012 at 08:31 PM. 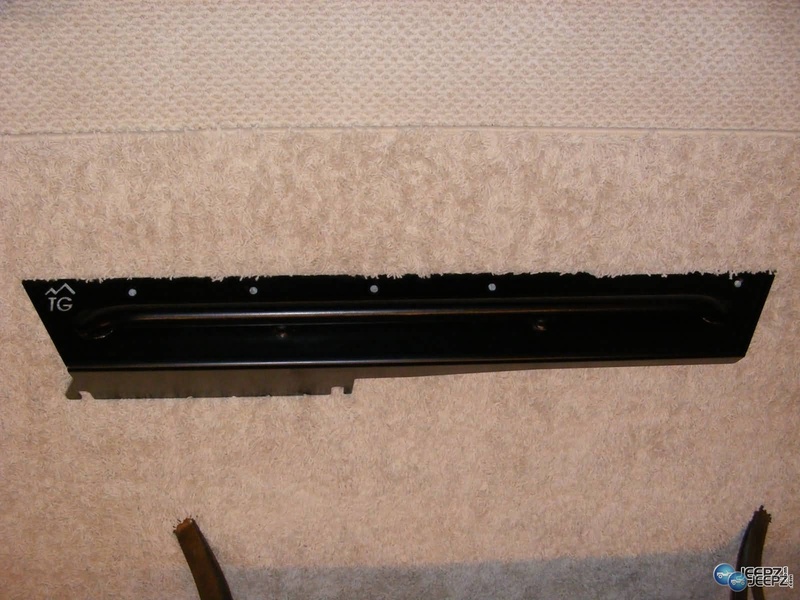 Once the mounts were cut, I prepared to put the rock slider in place. 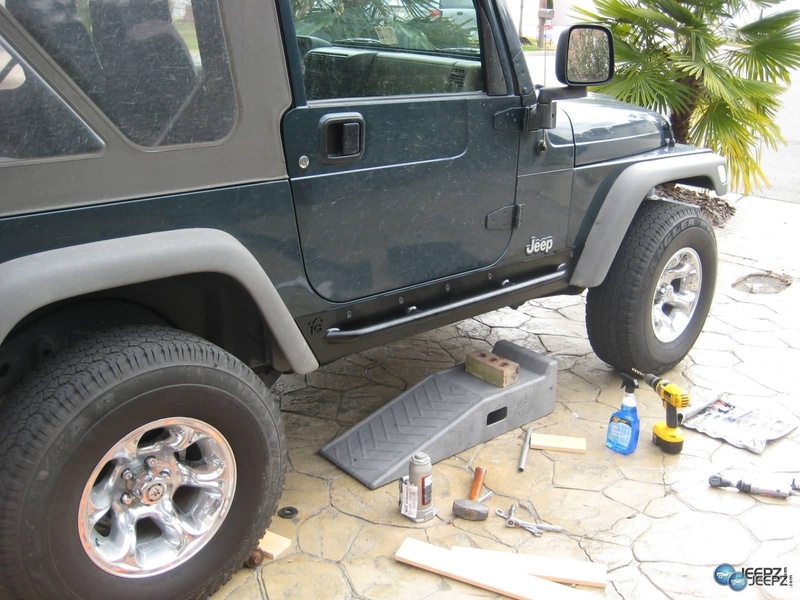 I again strayed from the directions here and decided to put a thick bead of silicone between the body of the Jeep and my new rock slider. 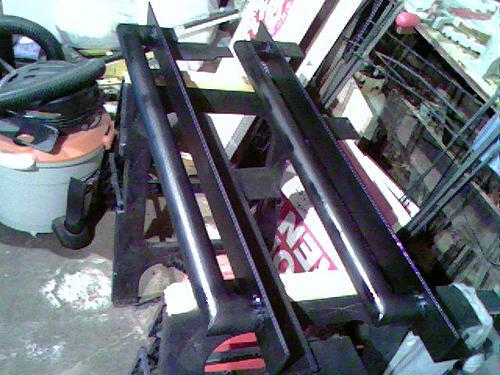 This should help cut down on rattles, give some small amount of protection for my paint if I ever decide to remove the sliders, and finally keep some water and rust out (you will be drilling holes into your Jeep later). I used external silicone made for gutters that I found at Lowes. 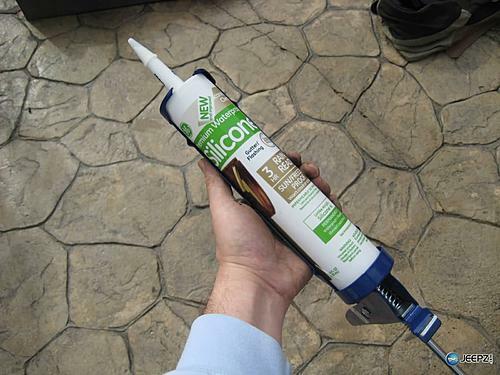 Simply cover the inside of the rock rail with silicon before you hold it into position. Setting the rock slider in place. This can be rather difficult if you are working alone (I was). I decided to slide the rock slider onto the body mounts, then lower the Jeep down onto the body mounts. This allowed the weight of the Jeep to keep the slider in place, but also gave me a chance to make changes before I drilled. I lowered the Jeep into place, but noticed that that top of the rock slider was about ¼ inch away from the Jeep. By using my Hi-Lift jack, I was able to raise the rock slider into place, giving me a good fit. You don't need to put any real pressure on the Hi-Lift, only enough to snug the slider up to where it should be. Last edited by TerryMason; 07-07-2012 at 08:32 PM. It took me some time to steel my nerve enough to drill my Wrangler for the first time, but once I got the slider into place, there was nothing to do but go for it. I used a normal center punch to prep the wholes, then drilled with a 3/8ths drill bit. Once I drilled through I squirted a wad of silicone into the hole and worked it around in an attempt to waterproof things. This wouldn't be a bad time to use some touchup paint on your newly drilled holes (I didn't take the time). The farthest back hole didn't come out as smooth as I had hoped. 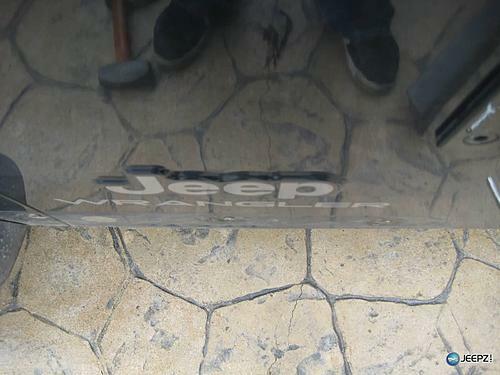 The inside of the Jeep at this spot has a hump that makes your bolt sit at a pretty extreme angle. There isn't much that can be done for it, but don't be surprised. 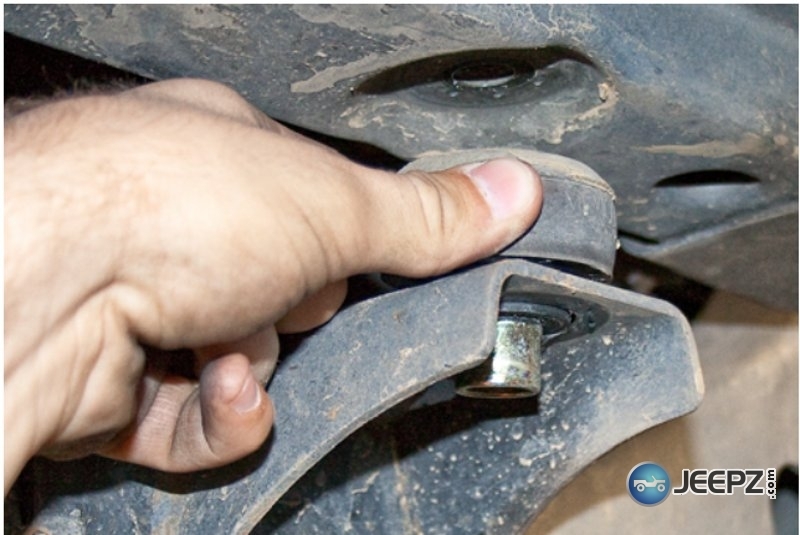 You'll need a T45 torx to tighten down the bolts. I used my air wrench to speed things along. Once all of my holes were drilled, and bolts were tightened, I went back with silicone and ran a bead along the top of the rocker panel, then worked it in with my finger - again, hoping to better waterproof /debris-proof things. Last edited by TerryMason; 07-07-2012 at 08:33 PM. 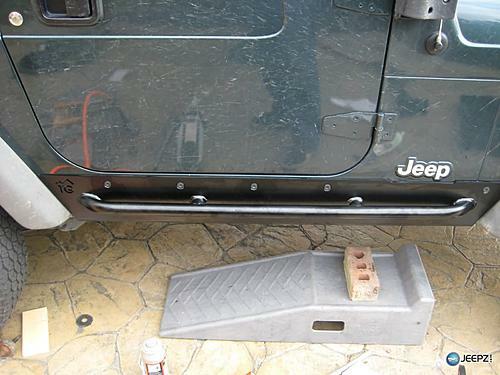 I was sad to see that within a week the bolts on my new rock sliders had rusted. At first I thought that it was just where my torx had worn the paint off, but I soon noticed that the entire bolt had rusted. This was not at all apparent from looking at the bolts - they looked great going on, but it appears the paint just wasn't up to snuff. 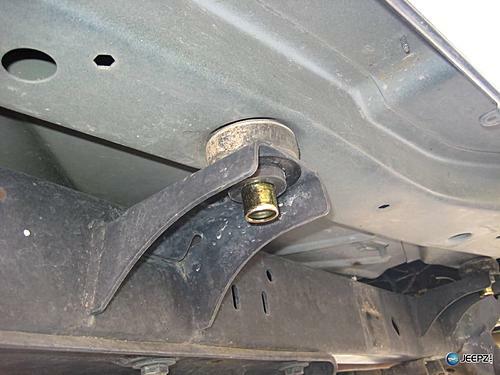 Since it only took 7 days for these to rust, I'd suggest painting all your bolts yourself before installing them. This is a one day install for a novice mechanic - I took me about 6 hours total, mainly because I had to workup the courage to drill into my Jeep. I'm very happy with the finished product, and would install these again. Last edited by TerryMason; 07-07-2012 at 08:34 PM. Great job! I also want to install these but worry about drilling hole in by body(like OPPS) Also seem to be a big difference in price so can you give just rough cost,of the parts you used? I liked drilling the holes with the slider in place - there wasn't any real chance of messing, since I had to put the bit rhough the slider to drill. I imagine that if I ever remove these, I could put some nice looking black bolts through the holes and it wouldn't be very obvious. Could I suggest that you use stainless steel bolts,they are a bit pricey,but than you never have to worry about rust. Last edited by abe; 02-18-2010 at 09:11 AM. IF IT DON'T FIT FORCE IT. IF IT BREAKS IT NEEDED TO B REPLACED. 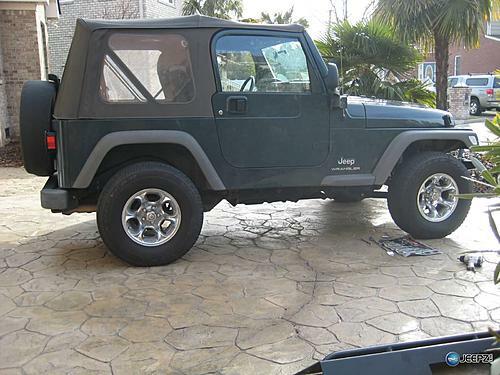 Looks good man, I've got some tubular rock sliders and the bolts they came with were crap. I instead chose to weld them on, (so I didn't have to worry about them breaking or backing out, I was also scared to drill into my frame) and then rhino lined over the welds and around the immediate area to prevent rust. If I were ya'll, I'd put a bead of silicone on before you mounted them. 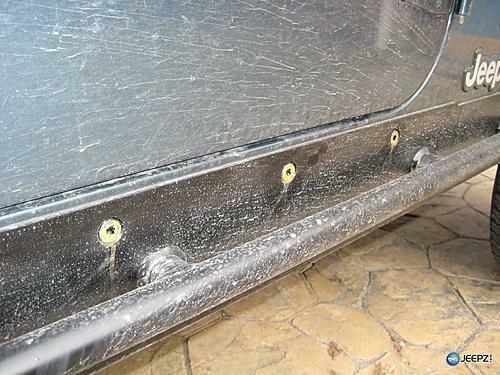 My theory is that it will help keep the mud out and help prevent the body from rusting under the skids. I bought the Poison Spyder set and they use the back two body mounts also. 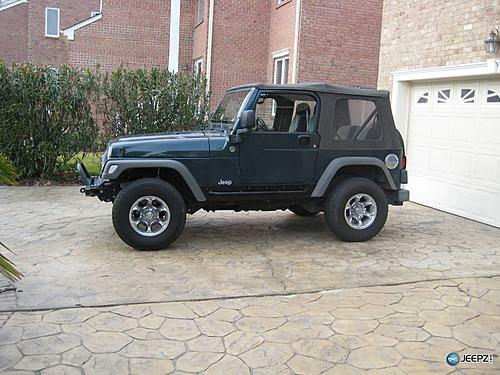 My plan is to tie the front body mount in with my aftermarket cage and front part of my sliders. What do you think of these rock sliders? 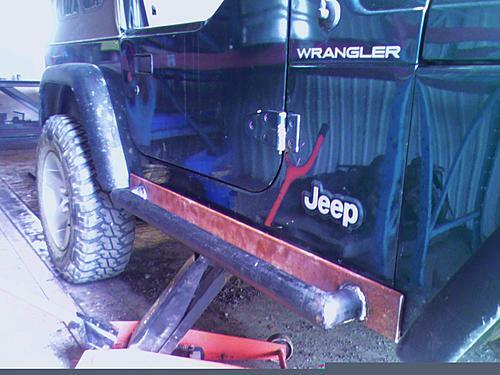 Mounting rock sliders today - any tips? 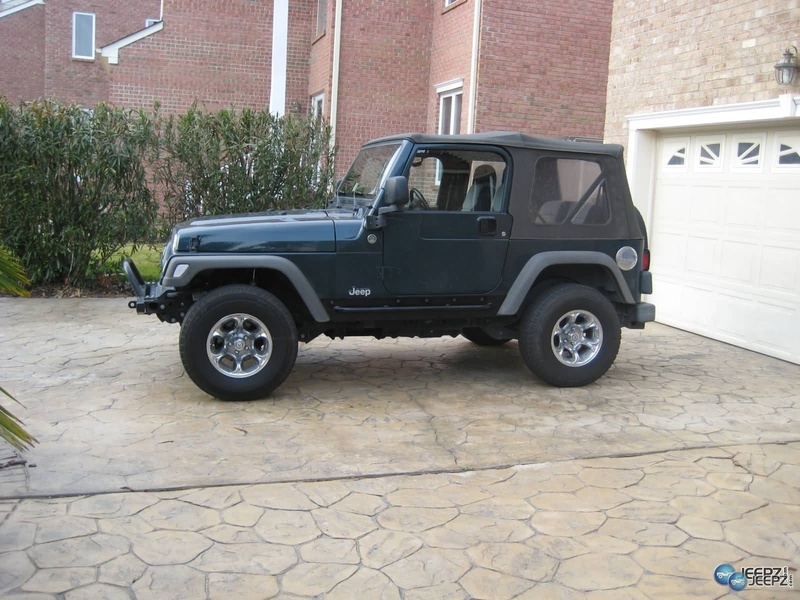 Are Trail Gear Jeep rock sliders any good?